Why granite countertops are your best option for the kitchen? Using granite kitchen countertops may be the next best thing for your kitchen. Not only are they good to look at, but are also extremely hard and sturdy. Using steel and wooden materials these days has become the norm and that should give you adequate reason to look for other options. While there may be some reasons granite countertops find so many critics, there are several reasons why incorporating it in your kitchen will work for you. Appealing – It is extremely good to look at and with the right type of surroundings and aesthetics, your kitchen will sparkle with an unparalleled radiance. There are several layouts and designs that you can choose from. Longevity – One of the biggest advantages when it comes to using granite countertops is the durability. Needless to say, it can withstand all weathers conditions as well as the heat and cold from the various elements that are there in the kitchen. Upkeep – As far as maintenance is concerned, there is very little you will have to do. Basic cleanliness using soap and water will do the trick for you. Also, frequent cleaning won’t cause any harm to it so you can give it a rub as frequently as you like. Options – Granite countertops provide adequate scope for improvisation since they come in a range of colours, shapes and sizes. 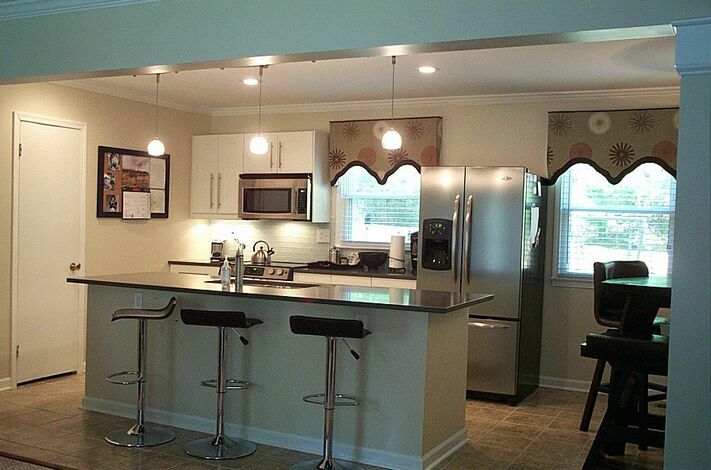 Mix and match it in any way that you would like in order to brighten up your kitchen. Distinctive – Since granite comes in dynamic shapes and sizes, it is safe to say that your kitchen will have a unique and distinct look as compared to others who use mundane materials. Pocket-friendly – A big reason why you should choose granite countertops is because they are extremely light on the wallet. The versatility of the granite kitchen countertop is that it can be used in a variety of settings. They blend in with almost any surroundings. Usually, any other material that is used for a countertop requires quite a bit of planning. From the above mentioned points, it may be safe to say that granite countertop installers are the most affordable and trendy way for you to design your kitchen. The longevity of it and the minimum effort required for its upkeep make it a feasible investment in the long run. Granite countertops should be your go—to choice for your kitchen needs. Are you planning, kitchen renovation? Are you seeking luxury stuff to provide a vibrant appearance to your kitchen? Or are you searching something new for your kitchen? Well, if your answer is YES! Then granite countertops can be the ultimate option for you. These countertops will definitely give elegant look to your kitchen. Granite countertops are a durable having good resistance against scratch and stain. It means that it will give you long lasting service. 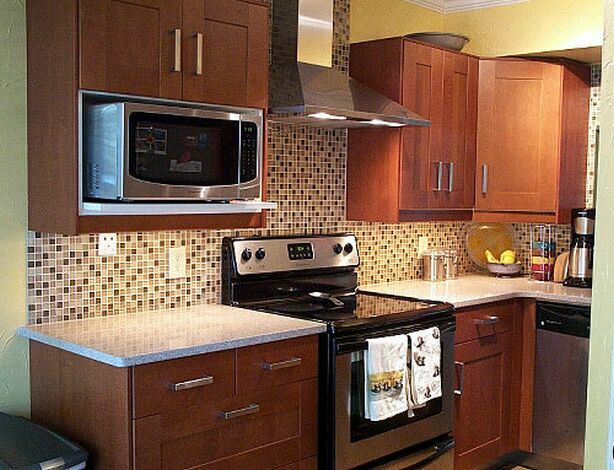 Granite countertops can be great kitchen countertop which can give amazing look to your kitchen. Granite countertops can become the center of attraction of your kitchen décor as scintillating feature of granite stone have its own natural beauty. In order to add shine and luster in your countertop, you need not have to use any additional paint or polish. Granite stone has in-build natural sheen and shine. Granite countertops are super smooth so it is absolutely a luxury feel to cook on these tops. These countertops are available in various shape, size, color and design. You can use according your needs and requirements. Not just kitchens, granite can also provide adorable appearance to your bathroom and other part of the home. There are countless advantages of granite countertops. Notable facts about granite is that it is non-porous material which does not allow scratch. Granite is an extremely smooth material so it dusts and dirt hardly accumulates in it, thus maintenance of granite countertops is much easier. Cleaning and dusting of granite countertops are also very easy as well as it will not consume your much time and efforts. In terms of strength and hardness granite deserves applause. After diamond, granite is second hardest naturally occurring material so it can bear plenty of load. Granite also has property of heat resistant. This material does not act as catalyst and also do not catch fire. This also means that there will be no burning marks or spots on your countertop. Most striking properties of granite countertops is that seasonal changes will cause minimum impact on granite. So, what are you waiting for? Adorn your kitchen with fantastic granite countertops now! !